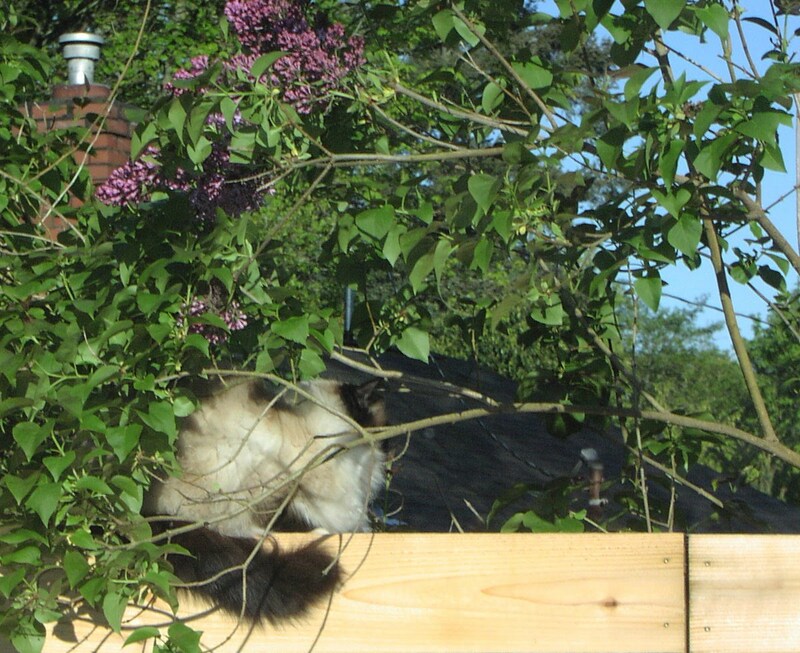 And here, for your delectation and delight, is a photo of Chow Ciao (“Eats, shouts, and leaves,” a/k/a Chow Mane) who seems to be back, and thinks lurking amidst the lilac waiting for tasty little birds is a fine thing. No, we’re not going to adopt her. She’s an irritatingly skittish cat, and too vocal for our tastes. But I suppose at some point we’ll have to find her a good home. Don’t suppose you’re interested? (The skittishness would go away, I’m pretty sure, once she had a safe place, a place to belong.) Just let me know. Finally! 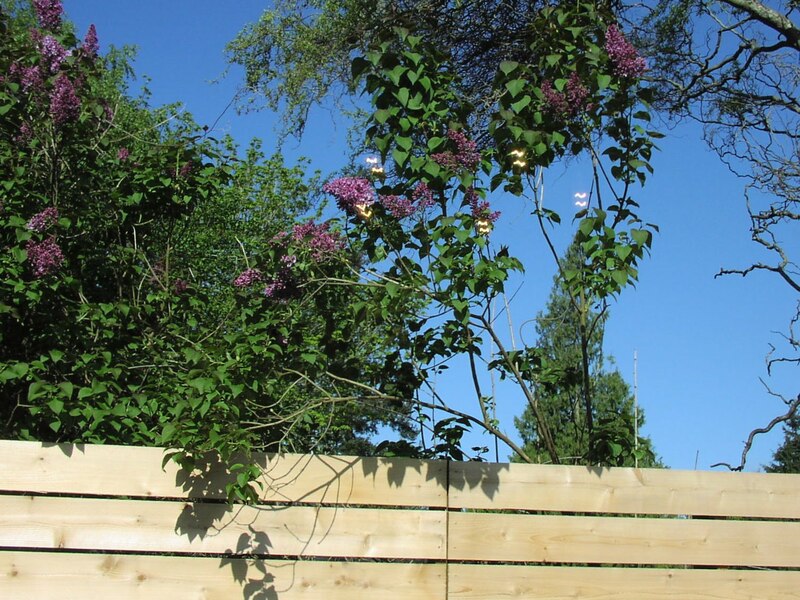 At least there is a little lilac left. And wow! Fairies! I've never managed to photograph any myself.